Dr. Genberg has 45 years of industrial experience in the application of CAE techniques to efficient, high performance optical structures. His special areas of expertise are the application of finite element methods for deflection, stress, vibration, and buckling analysis of precision optical structures and the use of automated optimum design techniques to improve structural performance. Dr. Genberg is currently President of Sigmadyne, Inc., an engineering consulting firm specializing in structural analysis and optimization of optical systems. At Sigmadyne, much of his work is the analysis and design support of the JWST telescope, as well as numerous other orbiting telescopes. 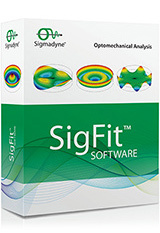 Dr. Genberg has developed special tools, including SigFit, for the evaluation and optimization of optomechanical systems. Dr. Genberg teaches a series of short courses on the use of finite elements and Nastran to solve structural, thermal, and field problems with applications to design. He also teaches industry short courses in Applied Structures and Integrated Optomechanical Analysis. He has over 40 publications in opto-mechanics including a co-authored book: Integrated Optomechanical Analysis from SPIE Press (2002). For 28 years at Eastman Kodak, Dr. Genberg was a technical specialist responsible for the structural analysis of many precision optics and optical support structures, ranging from large space telescopes and land mapping satellites to small optical systems. He was the design engineer responsible for many of the major optical support structures in the UR Laboratory for Laser Energetics, a large laser fusion facility. Job assignments ranged from consumer and professional products, to building facilities, manufacturing processes, and government projects. He has served as expert user, consultant, mentor, and program developer for finite elements, Nastran and optimum design. For 2 years, Dr. Genberg served as a full-time Associate Professor of Mechanical Engineering at the University of Rochester. Currently a Full Professor (adjunct), Dr. Genberg continues to teach very popular graduate and senior level courses in Mechanical Design, Vibrations, Finite Elements, and Optimum Design. His emphasis has been on the incorporation of modern computer tools into the curriculum. Dr. Genberg is an active member of the Applied Mechanics group participating in seminars, graduate exams, and Ph.D. research. Dr. Genberg was employed as a project manager at Structural Dynamics Research Corp. in 1978-79. His consulting projects addressed the buckling of orthotropic shells, the stress analysis of rotating machinery, fracture of welds in construction equipment, design procedures for grain silos, and mechanism analysis. Mr. Michels has worked in the field of predictive engineering for 21 years. His engineering skills are highlighted by his expertise in the application of mechanical finite element analysis to photonic applications. Mr. Michels is currently Vice President at Sigmadyne, Inc., an engineering consulting firm specializing in opto-mechanical analysis and software development. 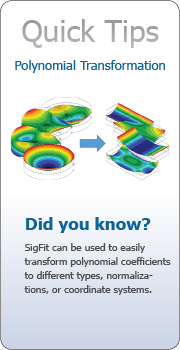 At Sigmadyne, Inc. Mr. Michels uses finite element techniques on a wide variety of engineering applications including remote sensing, microlithography, and laser communication. His use of design optimization methods has been effective in furthering the robustness and performance of clients’ product designs. Furthermore, his engineering predictions have been repeatedly confirmed by observed hardware performance and test data. Mr. Michels is also a software developer and technical support engineer for Sigmadyne’s opto-mechanical analysis software product, SigFit. His responsibilities in addition to technical tasks include writing cost estimates and proposals and managing computer resources. Mr. Michels has also co-authored an SPIE tutorial text titled Integrated Optomechanical Analysis in which extensive treatment is given to the process of integrating the discipline of mechanical analysis with that of optical analysis. In addition, Mr. Michels has authored or co-authored over twenty-five papers on topics furthering the capabilities of optomechanical analysis. Before co-founding Sigmadyne, Inc. in 1998 Mr. Michels spent five years as a mechanical analyst at Eastman Kodak Company in Rochester NY. While at Eastman Kodak Company he performed finite element analyses and optimizations of high performance optics and optical support structures for space-based imaging and laser communication applications. Although most of his time at Eastman Kodak Company was spent providing finite element based design and analysis in support of the Optical Bench Assembly for NASA’s Chandra X-Ray Observatory, Mr. Michels also performed finite element analysis in support of numerous bid and proposal efforts for imaging and laser communication systems. His specific tasks included predicting the structural and thermal performance of precision optical structures due to launch loads, on-orbit environments, and assembly procedures. These responsibilities also included performing trade and feasibility studies and using design optimization techniques to improve hardware designs. Mr. Bisson has 31 years of industrial experience in the application of CAE techniques to efficient, high performance optical structures. His special areas of expertise are the application of finite element methods for deflection, stress, vibration, and buckling analysis of precision optical structures and the use of automated optimum design techniques to improve structural performance. Mr. Bisson is currently a Vice President and Mechanical Analyst at Sigmadyne, Inc., an engineering consulting firm specializing in structural analysis and optimization. Since joining Sigmadyne, Mr. Bisson has applied finite element techniques on a wide variety of engineering applications predominately in support of the NASA James Webb Space Telescope. These activities include the design and development of the composite backplane and secondary mirror support structures. His analyses include the development of multiple techniques to evaluate the effects of composite material property variability on the optical performance of the telescope at cryogenic temperatures. Additional, Mr. Bisson continues to serve as the overall analysis lead for the design of the secondary mirror support systems. This includes all system level performance modeling, stress & vibration analysis and component load recovery. Before joining Sigmadyne, Inc. Mr. Bisson was a Technical Associate at ITT Space Systems Division with the specific responsibility of lead engineering-analyst on the NASA’s James Webb Space Telescope program, coordinating all mechanical modeling including both structural and thermal. Prior to his assignment on the JWST program, Mr. Bisson worked on numerous other telescopes programs for both NASA and other customers. Early in the NASA Chandra X-Ray Observatory, he developed a mirror-mounting concept that met both optical precision requirements and provided adequate stress margins due to launch loads. He has also been employed at Eastman Kodak Company and the MacNeal Schwendler Corporation as a mechanical engineering analyst. He has extensive experience in the application of both linear and non-linear finite element analysis as well as both test and analysis expertise in linear dynamics.